Supported ourselves with proficient amenities, we are providing an inclusive variety of Cylinder Valves. 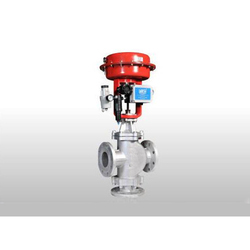 Being counted amongst the leading organizations, we are engaged in providing a broad range of Cylinder Valve. 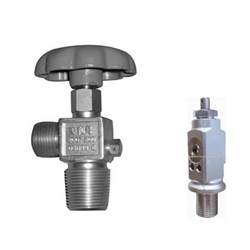 Valve Size: 1/2" to 6"
We offer cylinder valve, which are known for their efficient performance and durable construction. To ensure the quality of our cylinder operated valves, we make pass through stringent quality checks. CNG Cylinder valve, Manual-operating valve fitted on CNG cylinder enable the CNG flow to the fronted of vehicles.. It's main function is to open or close the cylinder gas outlet, and to house the safety devices. The body is made in forged brass and them machined. •: Each cylinder can accommodate access media up to 5120 users. •: Add/Delete of user card on individual cylinder as well as through portable programmer connected with PC & software applicable for all multi installation of cylinder.